1.2 The Company operates and maintains the website www.Mobilebet.com (the "Site"). The contractual relationship between you as a player (hereinafter "you" or the "player") and the Company, your use of the Site and the games, and any other services provided by the Company is governed by these terms & conditions, including the other policy documents made available to You by the Company. 2.18 The Company reserves the right to ask for verification documents at any time, and we can temporarily suspend your account until we receive the required documents. The Company carries out additional verification procedures and players having cumulative deposits totaling to 2,000 Euro will be requested to provide the Company with personal documentation, such as but not limited to, copies of identification documents, utility bills, copies of payment methods (e.g.credit cards), bank statements etc. In some cases the Company may request that the documents above are notarised. A player's account might be closed permanently and/ or a withdrawal may be refused if a player does not provide the Company with the required documents and/ or if the player is found to have supplied false or misleading information. 2.42 You are not allowed to place a bet on the following games whilst you avail from a bonus promotion and/or have a bonus balance in your account: Bob, Bloodsuckers, Ooh Aah Dracula, Zombies, High Society, Forsaken Kingdom, Simsalabim, Sugar Pop, Peek a Bo, Good Girl Bad Girl, Stardust, Sparks, Jokerizer, Secrets of Atlantis, Toki Time, Hot Ink, Starmania, Jackpot Poker, Football: Champions Cup, Reel Thunder, Rhyming Reels- Jack and Jill, Copy Cats, Fruit Warp, Castle Builder II, Jacks or Better, Wild Rockets, Creature Black Lagoon, Steam Tower, Tomb Raider II, Dead or Alive, Robin Hood, Giant Panda, Untamed Crowned Eagle, and The Wishmaster. 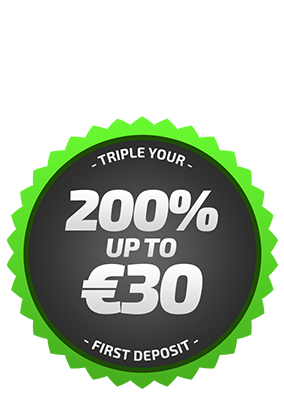 The Company reserves the right to remove any bonuses and/or close your account if you place a bet on the previously mentioned games while having bonus money in your account. 3.2 The player may close his player’s account by sending such a request to our customer support team (support-gb@mobilbet.com ) specifically stating the duration and the reason for closure. The customer support team will then finalize the closing of the player’s account. 4.1 The customer support team will provide support related to the Site. Complaints are handled by the Company in accordance with the contact information found on the Site. The following e-mail address can be used; support-gb@mobilbet.com. All inquiries and complaints must be directed to the customer support team in writing or in electronic format. A complaint shall be deemed to have been submitted in a valid manner when it contains clear information regarding the player's identity and gives all relevant details giving rise to the complaint. In the first instance, a Senior Customer Support staff member will thoroughly investigate the matter together with the appropriate personnel or 3rd party vendors, as necessary, and will advise the customer of the outcome within 7 business days of receiving the official complaint. If the customer is still not satisfied with the outcome of the investigation, the dispute can be escalated to the Head of Customer Support who will give a final response to the dispute within 7 business days. If unfortunately, you are not content with the Company’s handling of your complaint you may submit your complaint to the regulating authority. 7.2 By registering as a player, you confirm that you are not a resident in any of the following countries: Spain, Portugal, Hungary, Netherlands, Turkey, United States of America (and its territories), Czech Republic, Greece, Australia, Croatia, France (and its territories), Curacao, Netherlands Antilles, Ireland, Romania, Denmark or any other jurisdictions were registration and/or participation would be in conflict with any applicable laws or rules relating to Online Gambling. The Company holds the right to close all accounts opened by residents of these countries. Play’n Go games are not offered to players residing in Afghanistan, Bosnia and Herzegovina, America Samoa, Angola, Cambodia, North Korea, Ethiopia, Iran, Iraq, Laos, Singapore, Syria, Uganda, United States of America, Vanuatu and Yemen. Here you will find all the terms and conditions that regulate your game play at mobilebet. Please familiarise yourself with these regulations before you start playing at mobilebet.